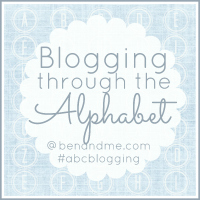 I recently decided to join BenandMe.com on a blogging through the alphabet adventure. They are about half-way through but this weeks Letter L is perfect for where I want to start. You see I also planned on writing a post about the word I plan on picking for my personal 'theme' in 2014. That word is LOVE! Why Love? I feel like the basis for everything in my life starts with those four little letters. When I married my husband I promised to love, honor, cherish and obey. When I had my three kids I finally understood what love really was... and it made me understand my relationship with Jesus so much more too! So this year with my theme being LOVE - I hope to show others how much I love them and to learn to love even more! Do you have a theme for 2014, if so please share in the comments! I'd love to see! LOVE reading this! xo xo Happy New Year! Thanks for sharing!